Rev. Kelly will be cozy during her upcoming treaments thanks to this thoughtful gift from the Quilters group. 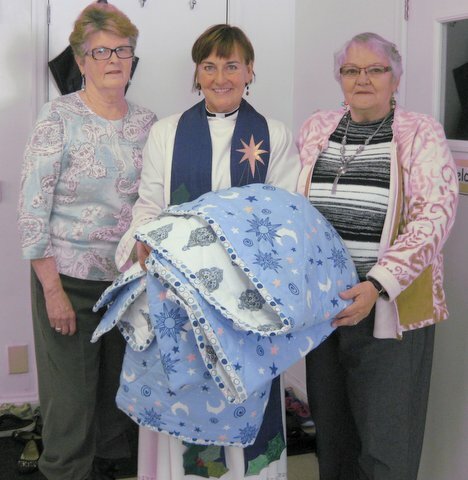 Shown here are Sandra Cook and Helen Marr presenting a prayer quilt to Rev. Kelly in late fall of 2016. 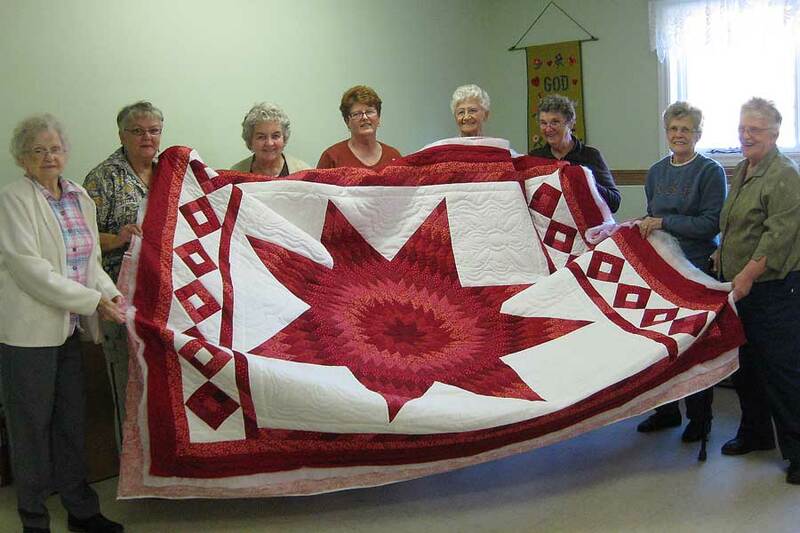 ​From left to right are Alice Jeffrey, Helen Marr, Maudie Boyle, Sandra Cook, Minnie Foss, Betty Barker, Carol Charters and Ruth Anderson shown with Minnie Foss's Star of Bethlehem quilt. ​Sandra Cook. They are working on prayer quilts to be given to patients dealing with serious illness. Quilters shown below are Betty Nicholson, Joyce Humble and Alice Kirkpatrick. Shown here is one of the beautiful quilts Minnie Foss had on display at the 2015 Fredericton Exhibition. It was designated "Quilt With the Most Contrast".